Being a follower of the teachings of Jesus, it befuddles me how the brand of Christianity who call themselves Evangelicals can be so intrinsically linked to the current Oval Office occupant (#CO3). Simply stated his actions and words are the antitheses of those teachings. 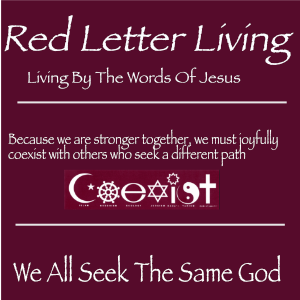 Here are some words about that from my friends over at Red Letter Christians. Of course, this is not the first time nationalists have tried to kidnap Christianity and the words of Jesus. The KKK claims to be a Christian organization but their total abandonment of Jesus’ teaching show that is a blatant lie! But still, in the 1930s the KKK dominated many States in conservative America. They controlled governments throughout the South and even in my State of Indiana during those years. Why the current Oval Office occupant is so enamored to dictators/despots (Russia, China, North Korea, etc) while being disrespectful of leaders in democracies is very puzzling to me. The only explanation I can come up with is that in his own mind, be believes if given total control, he could make the world perfect! We followers of the teachings of Jesus need to adamantly stand up to this brand of nationalism and see it for what it is. Christianity wherever and whenever it got started (and I don’t know the history) morphed some centuries ago into a religion for whites only. God is shown as white, as is Jesus. Angels are always white and many passages in the Bible seem to support these predjudices. So it’s no wonder that now, in modern times, whites think they are superior. They have been told it over and over again in the pulpit and by their peers. They have been told their religion is the only correct one and that the darker skinned Hindus, Buddhist, Middle Easterners, Jews, Latin American and Mexican Catholics, that are also darker, are inferior and going to Hell. The KKK, Nazis and other nefarious groups have not tried to kidnap Christianity for its bigotry, for it was already there. They are simply taking advantage of the latent racism, bigotry and ease of indoctrination of their beliefs and their own feelings of white superiority. Mary, you seem to be condemning of all Christianity with your broad strokes. Yes, there are segments like the KKK that pretend to be Christian but there are also millions of others who actually try to follow Jesus’ words. Do they always get it right? Of course not. Go to South America which is the majority Catholic and you will see statues of color. Not all people who are religious are bigots. I think you are wrong to paint with such a WIDE brush seemingly condemning everything Christian. This post is about a false brand of Christian and I do put the right wing Evangelicals pretty much in the mode too. But the majority are well-meaning but just not as well-practiced as they should be. Perhaps you are right about broad strokes, but I think it’s becoming a bigger problem. Demographics show that moderate and liberal religions here are declining and the more extreme far right ones are growing. I see it where I live, which is a red area.